(June 5, 2018) -- The University of Texas at San Antonio (UTSA) has been designated by the National Security Agency (NSA) as a National Center of Academic Excellence in Cyber Operations Fundamental (CAE-Cyber Operations) for 2018 through 2023. The designation recognizes UTSA’s ability to thoroughly prepare workforce-ready professionals to protect the nation’s information infrastructure. Students interested in graduate studies may also pursue M.S. and Ph.D. programs with concentrations in Cybersecurity in the Department of Computer Science. The programs are taught by a number of nationally-recognized computer science faculty. 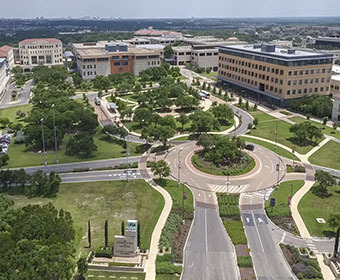 Additionally, the UTSA Department of Computer Science is home of the Institute for Cyber Security, which brings exceptional expertise in cyber security models, architectures, protocols and technologies, and world-class laboratories to basic and applied research, and the Center for Infrastructure Assurance and Security, which is developing the world’s foremost center for multidisciplinary education and development of operational capabilities in infrastructure assurance and security. Both UTSA research centers integrate efforts from academia, government and industry to position the university as a leader in the advancement of state and community cyber security capabilities and collaboration. Learn more about UTSA’s degrees in computer science, computer engineering, information systems and cyber security and data analytics.